I am writing to let you know that the ram we purchased from you last Februrary, aka "Little Guy" proved himself to be a giant among rams. All of our 12 ewes were bred and with one more ewe to go, we now have 19 beautiful lambs -10 rams, 9 ewe lambs - all doing well. Every one of the ewes had twins except one that had triplets. So thank you so much for your help and guidance. Thank you, as well, for such a fine ram. "We got our first Dorpers from Judy a year and a half ago. We enjoyed getting to know her and her husband and liked their sheep a lot. She was ready to help us get started and was always available for advice. She gurantees her sheep will breed and that's something very valuable. I look forward to working with her in the future." We recently purchased four 4"x 3' panels and was impressed with how well they were made and the ease of set up. I will always keep Jim and judy in mind for all my needs . What is great they delivered them to us free of charge. Jim and Judy Mault are serious and committed breeders of Dorper sheep, providing full blooded rams and ewes with outstanding genetics to clients throughout the Intermountain West. 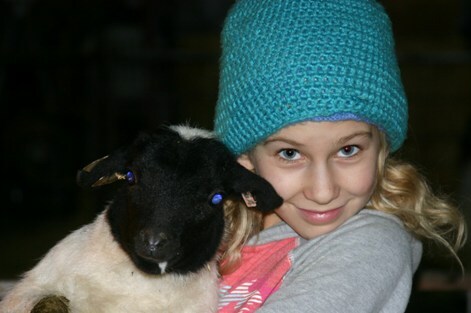 New to sheep and to the Dorper breed, we bought a starter flock from the Maults. They were generous with advice and support whenever we needed it, they consistently showed a protective interest in the animals they’d sold us and in our success at breeding, and we subsequently purchased a second ram from them. Our experience with this amazing breed has been very promising and fulfilling. We have enjoyed healthy animals that could withstand all extremes of weather, bred and conceived consistently without missing a beat, producing multiple births of well-marked lambs to our satisfaction. We have repeatedly encouraged those interested in Dorpers to contact Jim and Judi, as they are great stewards of the breed. This is John Hall, I wanted to Thank-you for taking the time to visit with me today about your sheep. Im looking forward and excited to do more business with you. We orderd a starter flock from Jim and Judi at the end of 2011 and living in Kansas we could not go there to pick out our lambs so they were kind enough to e-mail us pictures and video so we could pick our lambs. Judi stayed in contact with us and kept us updated with more pictures and when she seen that there were lambs that looked more like the kind of lambs we wanted she would send more pictures for us to look at. When it was time to pick them up they made us feel very welcome and had food prepared which was very welcome after a 19 hour drive. We can not thank them enough. I would not hesitate to refer someone who wanted dorper sheep to them.